​There were 206 people from Story City that served in the military during World War One. Of those 206, eleven men lost their lives while in service. Throughout 2018, the Historical Society will be paying tribute to these eleven soldiers in the Herald on the 100th anniversary of their death. 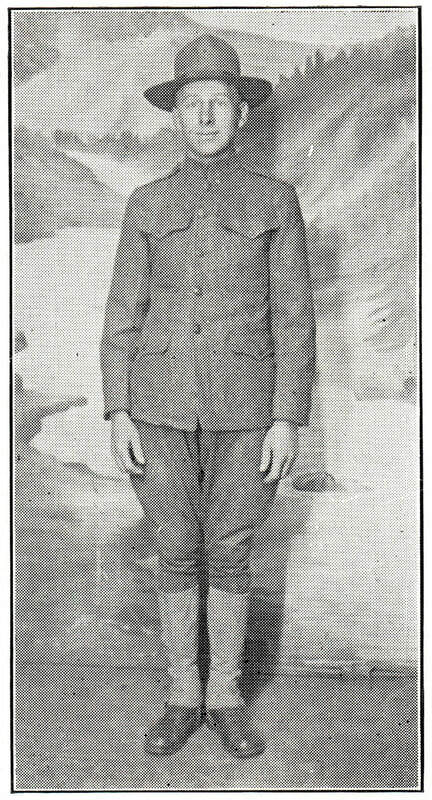 The third solider from Story City who died while in service was Hans Abrahamson on September 23, 1918. Hans Abrahamson was born near Liverpool, TX on February 12, 1897. His parents were C.M. and Hanna Abrahamson. The family moved to Gilbert from Texas when Hans was young. From there they moved onto a farm near the Center Schoolhouse and remained there for three years, at which point they moved to Story City. Hans assisted his father in his blacksmith business until he enlisted in April of 1917. Hans was one of a group of about fifteen men from Story City who enlisted in April shortly after the U.S. declared war on April 6th. From Story City he went to Omaha and then on to Fort Logan in Colorado, after which he was sent to Camp Douglas, Arizona. Hans was the first of the Story City men to land in France arriving on August 13th, 1917. He enlisted as a mechanic and worked as a horse shoer. Several snippets of Hans’s letters were printed in the Herald in November of 1917. He was enjoying France, and liked it much better than Arizona, he said “it is almost like old Iowa.” Hans enjoyed receiving the Herald in France to keep up on the local news from home. In one of his early letters he describes how the horse shoeing is different from what he did at home. In the July 25th, 1918 edition of the Herald it was reported that Hans had been promoted to Chief Horse Shoer in his regiment. Hans’s last letter home was dated September 6, 1918, in which he said he was feeling well, but on the 23rd he died of pneumonia. He was the first of the Story City men to die in France. His death was reported in the October 10th edition of the Herald, which stated that the sad news had arrived by cablegram a few days prior. The remains of Hans Abrahamson were brought to America in 1922. It took about two weeks for the body to reach Story City from New York, where it was brought to the home of Hans’s parents. On April 16th, the day of the funeral, the local Legion post took charge of the ceremonies under the direction of the local undertaker, Lester Henderson. Reverend L.F. Smith gave the funeral sermon which took place at Immanuel Church. It was reported that the crowd at the church was overflowing for the service of this popular young man. Songs were sung by the Legion octet consisting of Alvena Holm, Anna Dale, Jeanette Donhowe, Alfred and Anna Jacobson, Torbjorn Holm, Oscar Dale, and Milton Olson. Hans was laid to rest at Center Cemetery. As we remember Hans Abrahamson and all of our Gold Star soldiers throughout this year, let us not forget that they gave their all for liberty and peace.